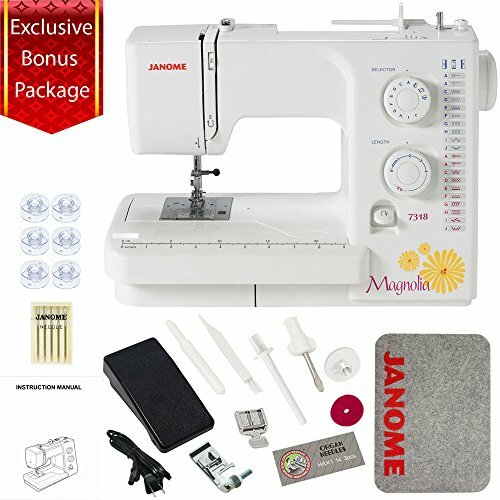 Who is the Janome Magnolia 7318 For? Decision Time: Do You Want a Sewing Machine Made Specifically for Beginners? Much like Singer and Brother, Janome has become a big name in the sewing machine world. The Janome Magnolia 7318 Full Disclosure: We earn a commission if you click this link and make a purchase, at no additional cost to you. 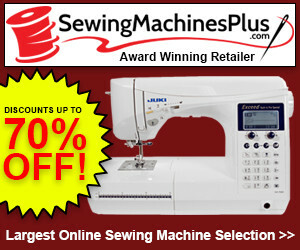 is a sewing machine which is strictly aimed at novice users. Sure, experts will be able to use it and get something out of it, but the features are designed for the new user. With that in mind, Janome has created a machine which is simple and easy to use. The features are basic, and the operation is too. This machine has everything you need to get started. We had a chance to try this machine out and see if it was as good for beginners as the reviews suggested. We came to the conclusion that this machine is great for new users and those who had never picked up a sewing machine before. If you want to find out why we liked this machine, read on. Thread cutters are always a welcome addition to any sewing machine. We would have them on every single machine if we could make it happen. Not having to stop and cut the thread manually keeps the project flowing and you working faster. This thread cutter is in a convenient place, being underneath the face plate, and cuts the thread with ease. The Janome Magnolia 7318 comes with 18 stitches. 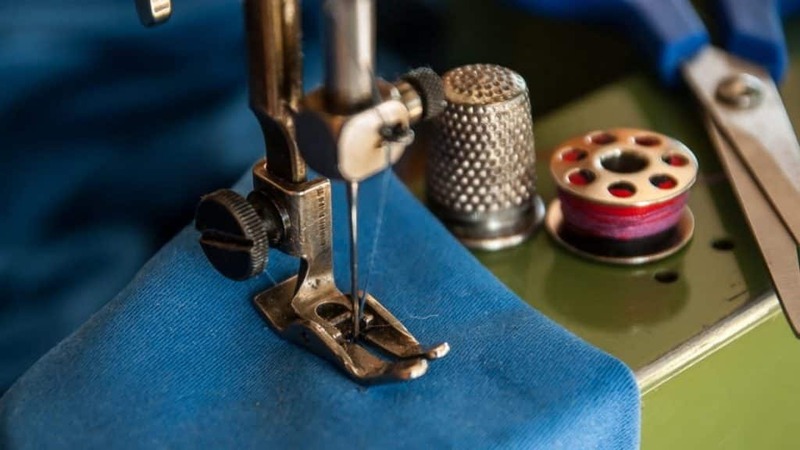 The main thing which you need to know about the number of stitches is that there are no bells and whistles here; you have exactly the stitches you need to complete most of your beginner projects without being overwhelmed with a more advanced selection of stitches – you have enough here to practice with a variety of stitches. Included in your stitch selection is a 4-step buttonhole. This may not be as many buttonhole options as other machines, but you will be able to use it over and over and have a buttonhole which is secure and durable. We like the bonus bundle which comes with this machine which means that you get a bunch of extras with your machine. Not all bundles are the same but you do get accessories which are always useful. We love that you get a little bit of a mystery with each purchase. Most bundles will have extra needles, bobbins, extra feet and more. The bobbin system in this machine is jam proof. This is a must for novice users who do not want to deal with jammed bobbins or threads. You also want to focus more on your sewing project than having to troubleshoot any problems. Once you have the bobbin loaded, you do not have to do anything else until it is time to refill the thread. You do not get extra feet included with this sewing machine. The machine is basic, so you do not need to be loaded up with multiple feet when you have a limited number of stitches. Where this machine does benefit you is in the universality of the sewing machine. If you do want to expand your accessories and purchase additional feet, you do not have to search specifically for Janome feet – you can use almost any kind of feet with this machine; you save time searching for the feet you need and can get to work quickly. This also saves you money because you can opt for cheaper feet over more expensive ones. We already mentioned that the bobbin system is jam-free. The bobbin is also visible at all times. The plastic cover is see-through so when the bobbin is in place, you can see it at all times. Your bobbin should not jam, but if something does go wrong, you can see at a glance. You can also see if you have enough thread to complete your project before you get started. This saves you from having to refill the thread midway through your work. The Magnolia 7318 is also one of the most compact and portable machines which we have come across. Janome has always kept their machines light and portable, and this one is extremely portable. Not only that but the machine saves you a lot of space. You can place your machine in storage with ease and easily take it back out again. When you do have it in your workspace, you will have a lot of room around your machine for your fabric and accessories. You can also take your machine with you if you need to go to a friend’s house to complete a project. A neat handle on the top will allow you to pick it up and go. The Janome Magnolia 7318 Full Disclosure: We earn a commission if you click this link and make a purchase, at no additional cost to you. is a machine which is strictly for beginners. The functions and operations are limited, everything you would expect from a machine for new users. Intermediate and expert users will be able to use the machine, of course, but will not find enough here for the projects which they want to complete. This product is not for intermediate users, experts, professional dressmakers or those who want to start their own business. The machine is aimed at new users and has limited features. This is the perfect machine for a beginner. If you have never used a machine before, this will be ideal. If you have moved onto bigger projects, then the Singer Heavy Duty 4423 Full Disclosure: We earn a commission if you click this link and make a purchase, at no additional cost to you. sewing machine will have more of the features you need. This sewing machine is also perfect for those who have used sewing machines before and are at more of an intermediate level. The Janome Magnolia 7318 sewing machine comes with the most basic functions and accessories. If you are using this machine, you are probably not looking for anything with a lot of bells and whistles. We would recommend investing in spare needles. You may also want needles which can deal with thicker fabrics as the stock needles are the most basic. You get a bonus bundle included with your purchase which will give you a random assortment of extras to save you from having to buy anything else for a while. The Janome Magnolia 7318 Full Disclosure: We earn a commission if you click this link and make a purchase, at no additional cost to you. is a perfect starter machine. If you are a beginner and just starting out with a machine, then this is the perfect one to start on. The machine is easy to set up and use and has enough of a variety of stitches to keep you going with most of your projects. For advanced users, there is not a lot here to be useful. The Janome Magnolia 7318 sewing machine came in at #10 in our Best 12 Sewing Machines List. Here’s the full list, including the other 11 sewing machines. The following links will take you to the review of each machine. Janome Magnolia 7318 Full Disclosure: We earn a commission if you click this link and make a purchase, at no additional cost to you.